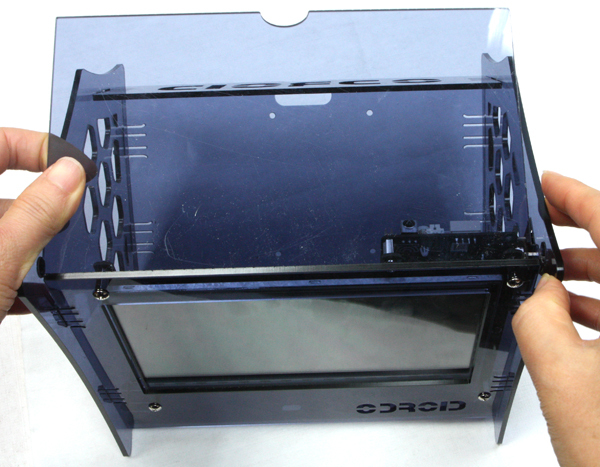 VuShell is a laser cut acrylic enclosure for the ODROID-VU7. 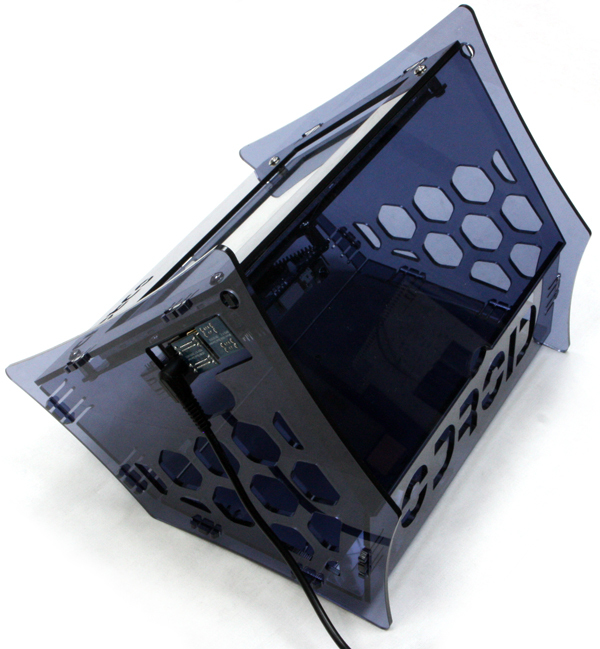 You can make your own desktop PC with the fancy VuShell. 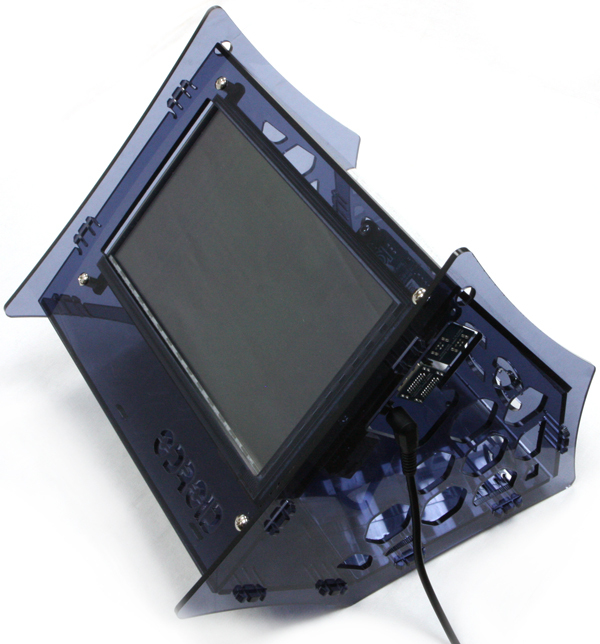 VuShell allows for two different viewing angles. - Weight : 395g approx. 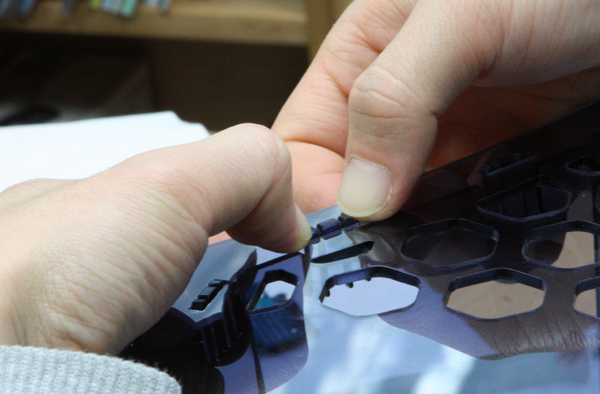 Peel the protective backing off both sides of all the laser-cut parts. Assemble the front piece first. Align a spacer(J) on the bottom side and a screw(H) on the top side. Insert a screw and tighten it carefully. Keep the screw hole empty at the top middle marked with an X in the picture. 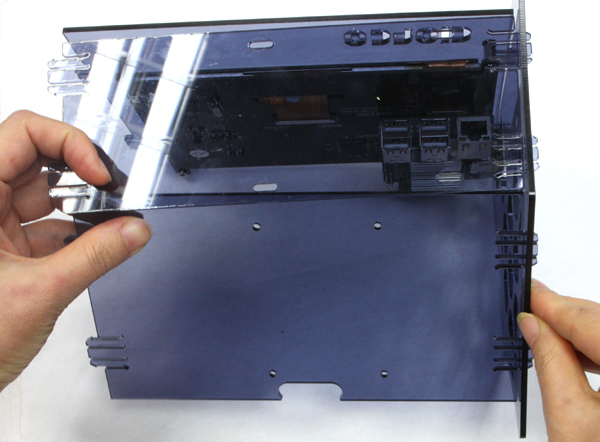 Check Step4 for the other side of the ODROID-VU7. 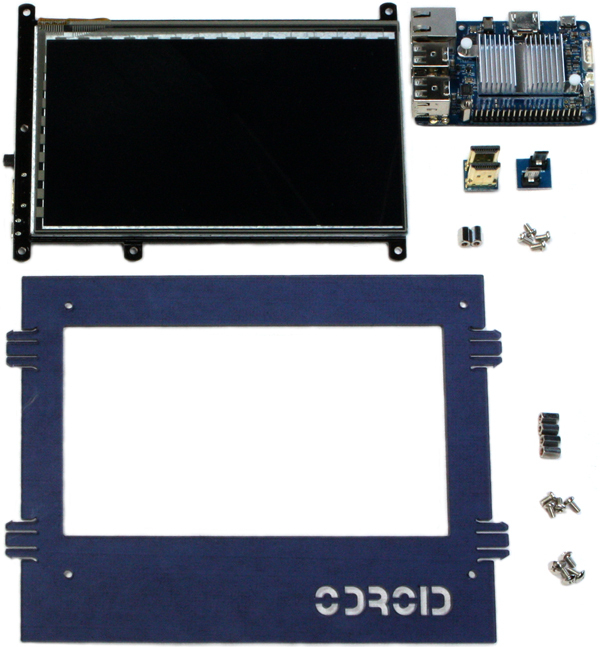 You need screws and spacers bundled with ODROID-VU7. You only need to install screws at the 2 points marked with an O in the image. 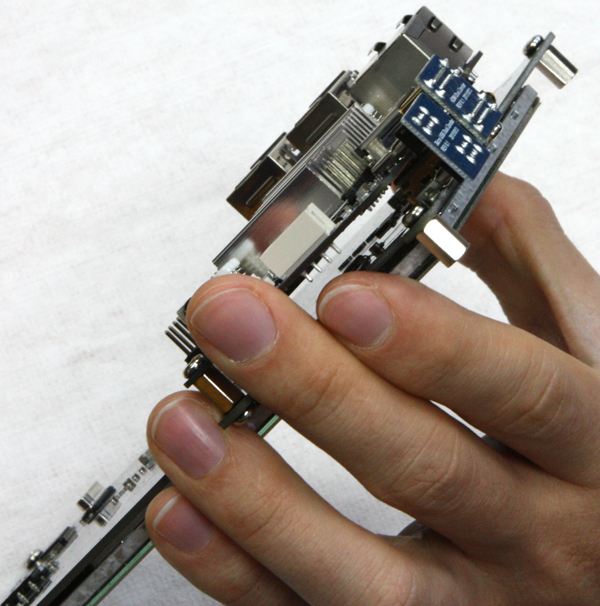 Continue using the screws from the ODROID-VU7 bundle. Add screws at the 2 points marked with an O in the image. Insert screws and tighten them gently. 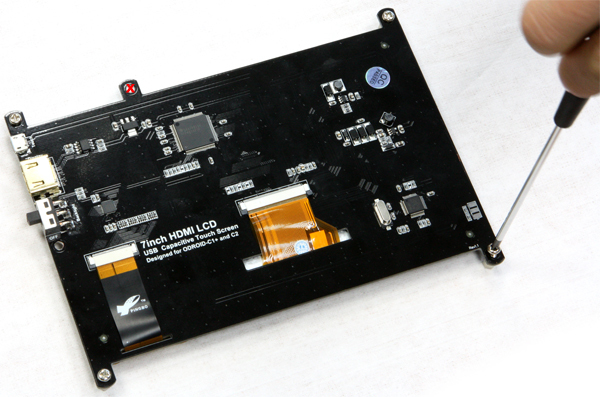 Plug in the Micro USB link board and the HDMI link board. 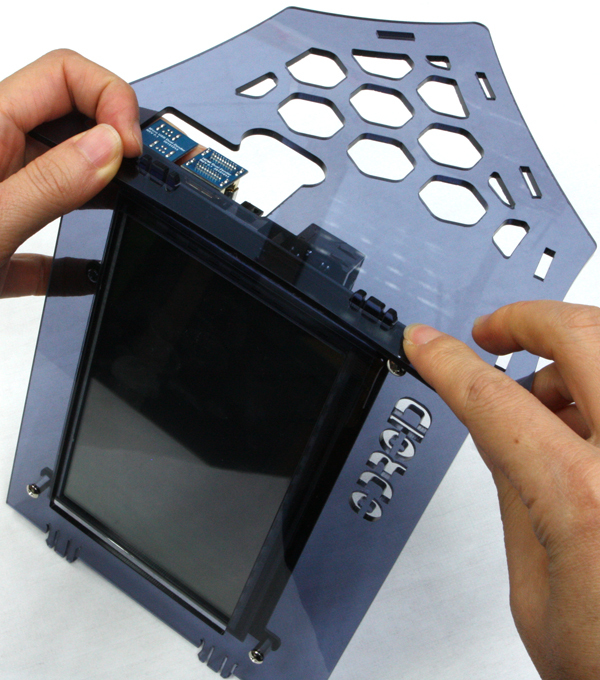 Assemble the front piece(A) with the ODROID-VU7. You need 4 x (H). Tighten it gently. 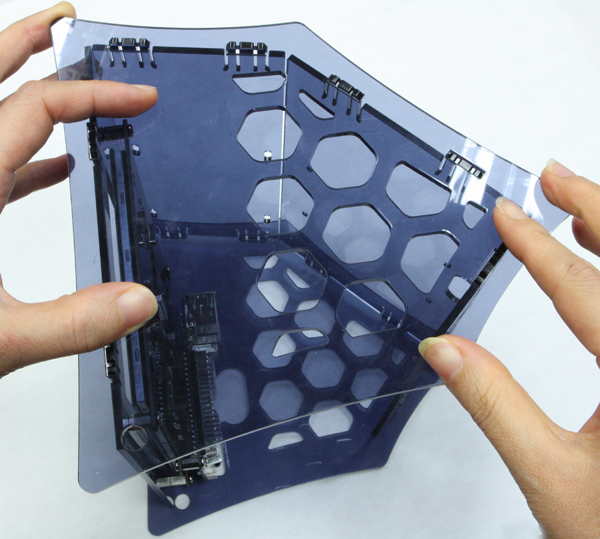 Don't tighten too much or the acrylic will crack. Assemble the front piece(A) and right side piece(C). Align the locker on the front piece with the locking hole on the right side piece(C). Apply gentle pressure to it. Align the locker on the bottom1 piece(D) with the locking hole on the right side piece(C). Apply gentle pressure to it. Align the locker on the bottom2 piece(E) with the locking hole on the right side piece(C). Align the locker on the bottom3 piece(F) with the locking hole on the right side piece(C). Assemble the left side piece(B). Align the locker on each piece with the locking hole on the left side piece. Apply gentle pressure to it. 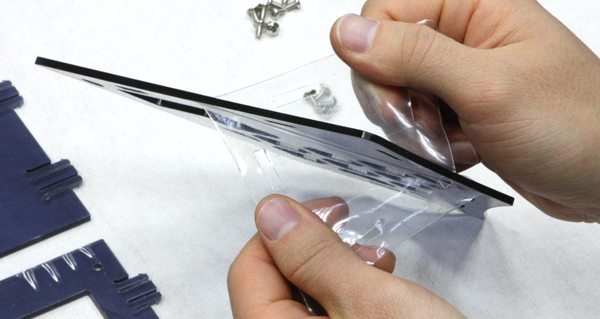 Align the cover piece(G) on the hole with the left side piece(B) and the right side piece(C). Pinch the edge of the each locker with two fingers. Please be careful not to crack the locker. 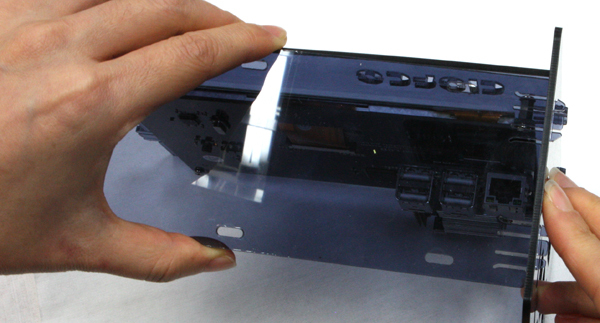 Beautifully honeycomb shaped side and ODROID logo back. Ideal 2 step viewing angle. 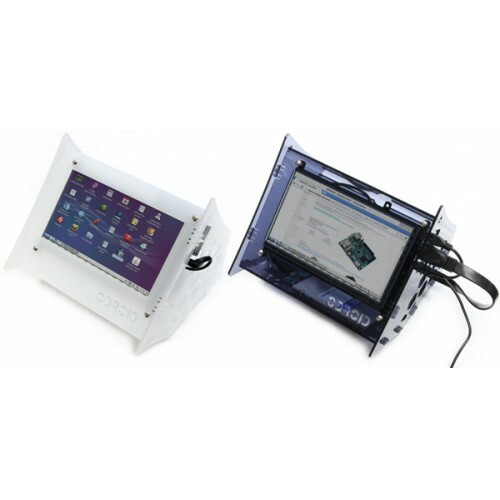 Now in Stock The ODROID-C0 is a computer for those who wish to make a more flexible and portable app..